The PureStation Mobile Cart assures easy transport and storage of instruments during pre-cleaning. 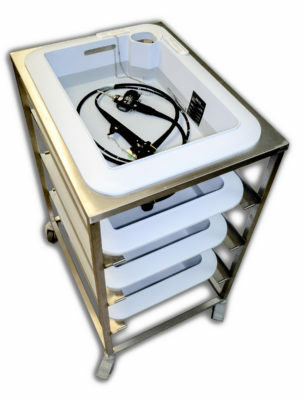 PureStation Sink Inserts fit perfectly into the top frame of the mobile cart to provide an additional functional sink during peak processing hours. 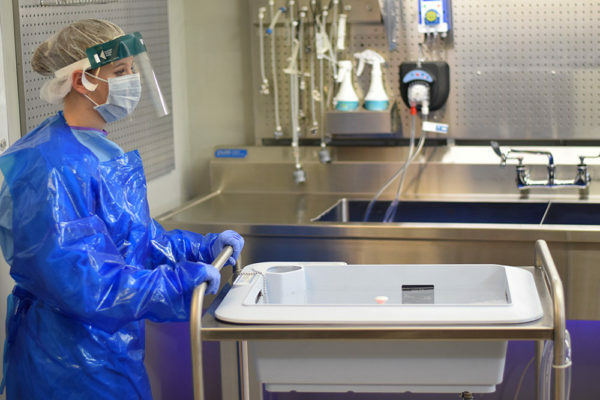 The PureStation cart can enable point-of-use pre-cleaning in a procedure room, and once covered, it safely transports instruments to the reprocessing department. It can also be used as a dedicated pre-cleaning area for instruments, or for training and testing to help develop a copious flushing protocol. 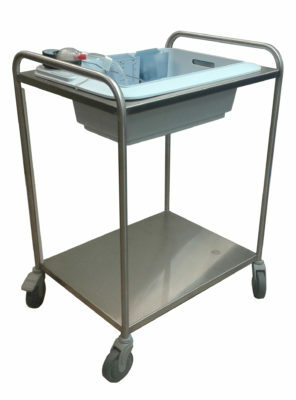 Mobile carts are also available in three-tier and four-tier models. PureStation Four Tier Transport Cart features four PureStation Sink Inserts for departments that require vertical soaking, storage and transport capabilities. 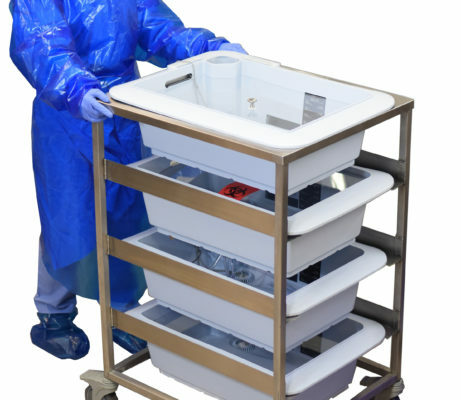 The PureStation Four Tier Transport Cart is used to safely transport, store and soak multiple basins of instruments at once. It is ideal for small departments that need additional space for storage, transport and soaking. 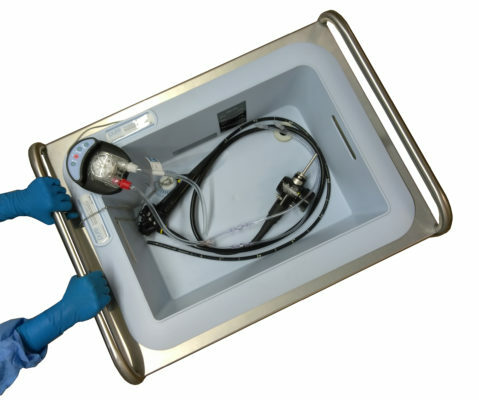 Soiled scopes can soak in the PureStation Sink Inserts underneath while the top acts as an additional sink basin for reprocessing. 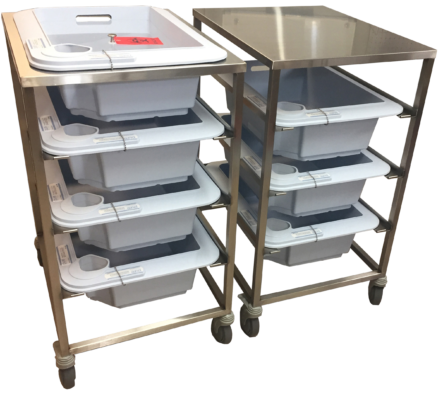 Each four-tier cart also includes clear transport lids to prevent cross-contamination and damage to instruments when in use. The PureStation Three Tier Work Station with stainless steel countertop easily integrates into pre-existing work areas for a seamless fit that add extra counter space.